1. 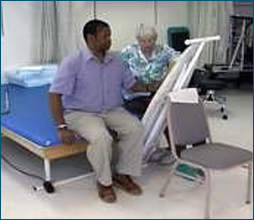 Describe the basic philosophy and tenants of NDT treatment in adult hemiplegia. 2. Describe how the base of support and alignment influence movement and posture. 3. 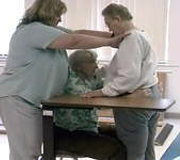 Describe the postural and alignment problems influencing the ability to establish readiness for improving gait. 4. 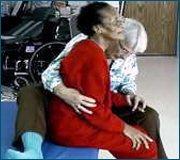 Describe the basic movement and postural components required for good sitting and standing. 5. Describe the importance of shoulder stability and alignment to improving the ability of the involved hand and arm to support weight.